Former Republic of Ireland midfielder Liam Miller has joined Premier Division club Cork City. The 33-year-old former Celtic, Manchester United and Sunderland player is returning to his native Cork. 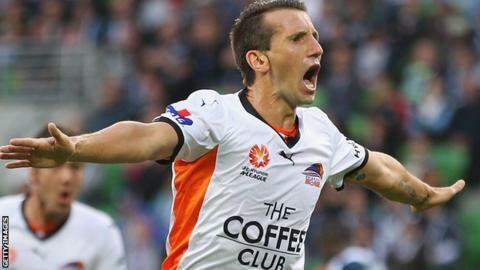 Miller, who won 21 international caps, helped Australian A-League side Brisbane Roar to victory in the Grand Final last year. "I'll be proud to wear the Cork jersey and do what I can for the team in front of my family and friends," he said. Miller's other previous clubs include Queen's Park Rangers, Hibernian and Perth Glory. He was released by Brisbane in October and signed a short-term contract with Melbourne City, which expired at the end of last month.